Many introduced plant species pose a serious threat to Western Australia’s natural areas and waterways. If invasive species are left uncontrolled they can significantly alter our bushland by out-competing our native species. This impacts our native fauna by altering the natural habitat and food sources available. It can also increase fire loads and promote more frequent fires which further degrades our bushlands. Often weed species respond faster post-fire and if fires are too frequent they can deplete the seed bank of many native species. In waterways, aquatic weeds can threaten our systems by; removing dissolved oxygen from the water resulting in fish kills, or by forming dense mats that congest waterways, preventing sunlight penetration and smothering our native vegetation. They can also be unsightly and reduce public amenity. Download the Aquatic Weed Rapid Assessment Tool here. Limnobium laevigatum, or Amazon Frogbit, is a floating plant that is reminiscent of a large duckweed (Lemna minor). It is native to Central and South America. This species is tolerant of extreme temperatures and needs to be found and eradicated. The floating rosettes send runners out into the water, the ends of which form juvenile plants. A large mat of runners and adult plants can develop very quickly, which in turn can result in the unwelcome shading of plants growing below. 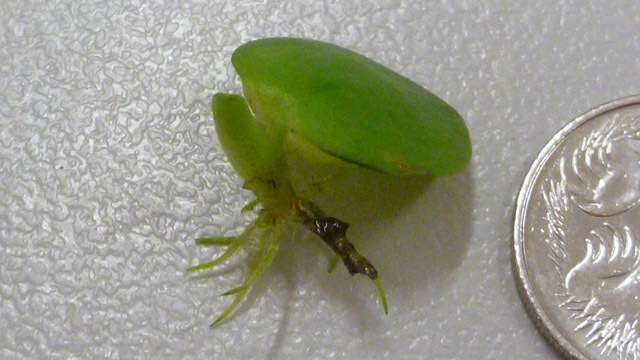 The juvenile plants have a great capacity for distribution in that they are small, and they float, and can be easily and quickly carried along by water currents. 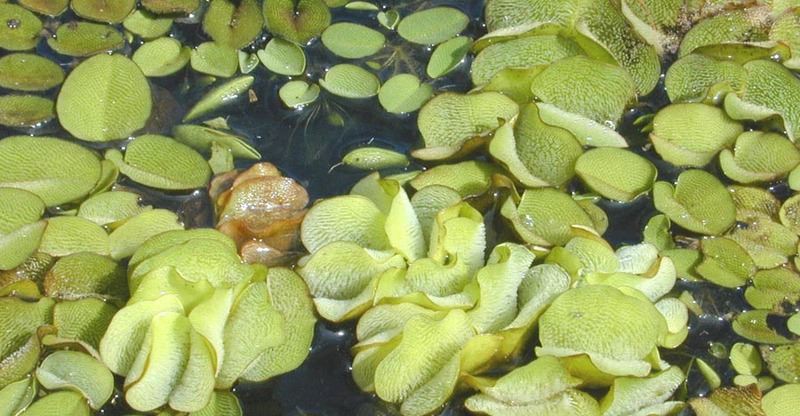 Amazon Frogbit is a declared pest in Western Australia. Care must be taken to ensure the weed is not dumped or translocated into our natural waterways where it quickly spreads. Bacopa monnieri is a perennial, creeping herb whose habitat includes wetlands and muddy shores. The leaves of this plant are succulent and relatively thick, they are oblanceolate (oblong shape that tapers towards the stem) and are arranged oppositely on the stem. The flowers are small and white, with four or five petals. Its ability to grow in water makes it a popular aquarium plant. It can even grow in slightly brackish conditions. Bacopa is not a declared weed in Western Australia and can be grown in home gardens. Care must be taken to ensure the weed is not dumped or translocated into our natural waterways where it quickly spreads. Hydrocotyle, or shield pennywort, is native to South America and was introduced as a pond plant due to its attractive foliage. It is an emergent stoloniferous perennial herb that roots prolifically at the nodes and has the potential to cover large bodies of water. The leaves are circular with a deep radial split and are shallowly lobed. The flowers are white and insignificant. 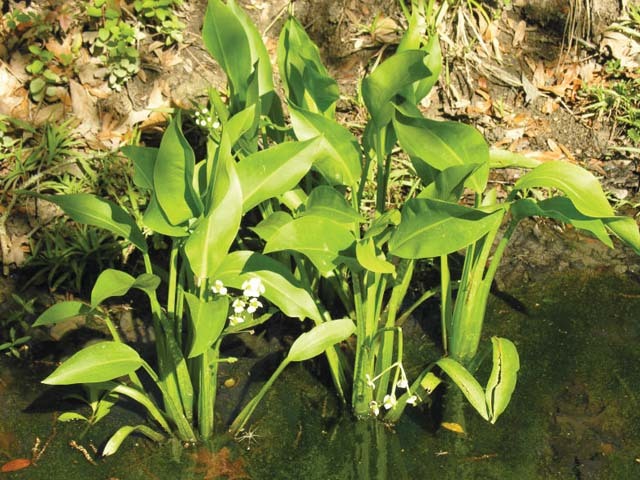 In waterways, hydrocotyle overruns native plants, and creates an unfavourable habitat for aquatic fauna, it obstructs water flow and causes eutrophication of water when it decays. The floating mats of hydrocotyle can be a hazard to humans and animals who try to walk on them and fall through into deep water. Hydrocotyle ranunculoides is a declared weed in Western Australia and all plants need to be eradicated if found. Sagittaria platyphylla is a perennial plant found in static or slow moving water, often on the edge of streams. It was introduced to Australia from South America. 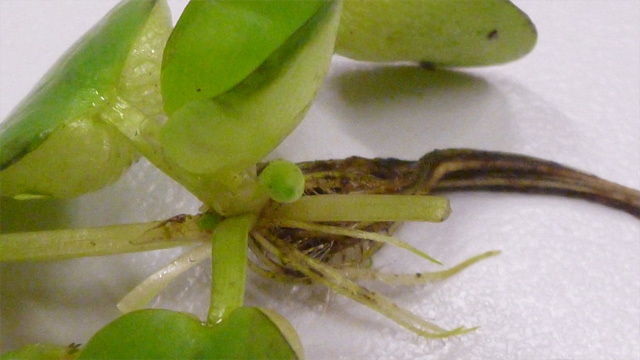 The plant has two types of leaves, flat whorled leaves that are completely submerged and leaves that are triangular in cross-section and emergent. The flowers are on a leafless stem, arising in whorls more than two from the same position. Upper whorls are male flowers the lower females. There are three white petals. A few plants have been observed growing near the confluence of Yule Brook and the Canning River in Beckenham and near the Nicholson Road Bridge in Langford. 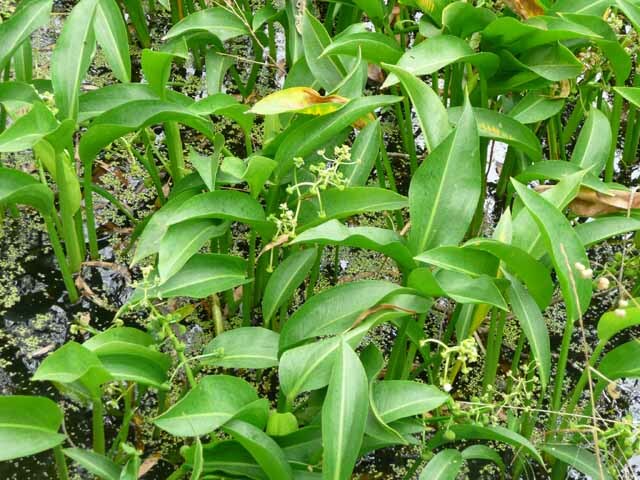 Sagittaria is a declared weed in Western Australia and plants must be eradicated if found. Salvinia is regarded as one of the worst aquatic weeds due to its invasiveness and its impact on the environment. Salvinia is a free-floating perennial aquatic fern made up of pairs of oval, green to brown leaves connected by a horizontal stem. The top of each leaf has many tiny, hairlike structures that split then rejoin at the tips to form an eggbeater-like structure. It originated from South America and was initially introduced as a pond plant. It has since escaped into our natural waterways where it produces dense mats on the surface of the water. It can be dangerous to humans and animals as it is often mistaken for solid ground. It also provides the perfect haven for mosquitoes. 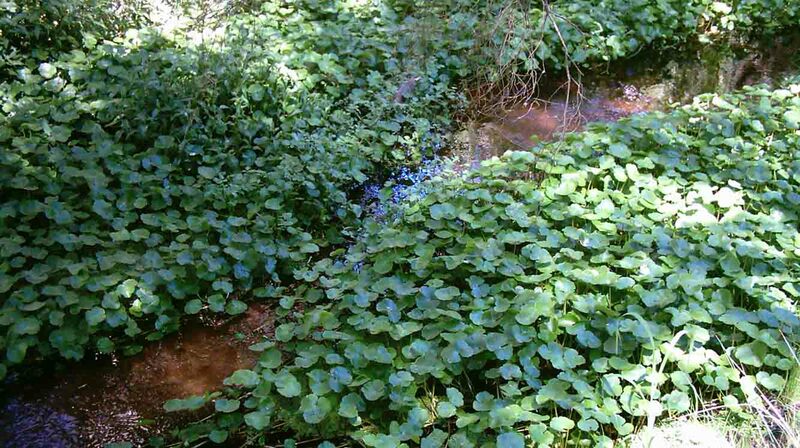 Salvinia is a declared weed in Western Australia and all plants must be eradicated if found. Taro was introduced as an attractive perennial aquatic herb with its large heart shaped leaves. 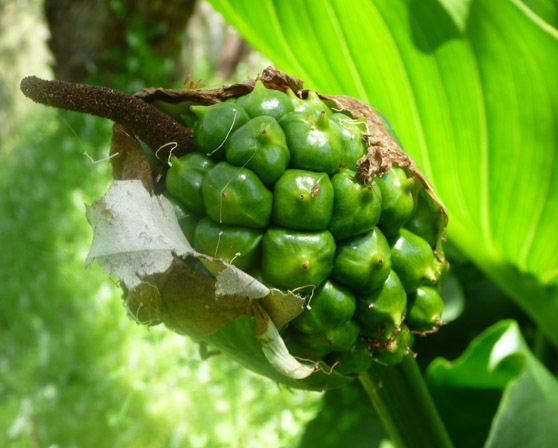 It is grown widely as a food plant as its tubers are edible (needing special preparation as they are poisonous when raw). Taro has escaped into our natural waterways where its rapid growth out-competes native species. Roots often trap organic matter fouling the water and when disturbed can often release toxins that can be harmful to wildlife. Taro is not a declared weed in Western Australia and can be grown in home gardens. Care must be taken to ensure the weed is not dumped or translocated into our natural waterways where it quickly spreads. Water Hyacinth originated from South America and is a free floating perennial aquatic weed that has become one of the world’s worst aquatic weeds. It was introduced as a pond and aquarium plant due to its striking mauve flowers that are held above the foliage in dense spikes and lush green foliage. The plant has dense fibrous roots and large infestations clog waterways making it impossible to penetrate, severely restricting recreational activities. The mats also outcompete other native species and create low oxygen levels in the water. They can also be breeding grounds for mosquitoes. Water Hyacinth rapidly spreads across water bodies due to its ability to reproduce both vegetatively and by the large amounts of seed it produces. It flowers in late spring and summer. 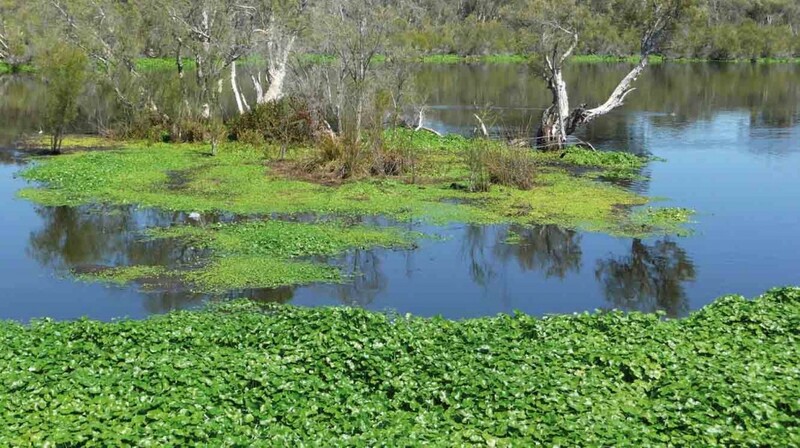 Water Hyacinth is a declared weed in Western Australia and plants must be eradicated if found. 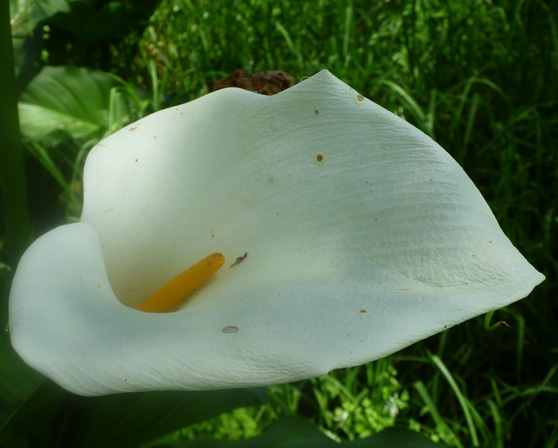 The Arum Lily is native to South Africa, where some tribes boiled the roots to provide a starchy food; however, they are poisonous when eaten raw. The plant itself has caused fatalities in stock and is toxic to humans, believed to cause eczema. This perennial herbaceous plant forms clumps along damp lands and stream banks in temperate Australia. This robust plant grows to 1.5 m high with tuberous underground stems (rhizomes) and fleshy white roots. It has large, smooth leaves up to 50 cm long with a pointed apex and blunt lobes at the base joining to a thick, fleshy stem. Flowering in spring, flowers are greenish-white, appearing in a funnel shape at the top with an opening down one side. Yellow fruit containing several round seeds each appoximately 3 mm in diameter are visible in the centre of the flower. The Arum Lily was introduced to Western Australia as a garden plant and has subsequently escaped to become established as a weed. 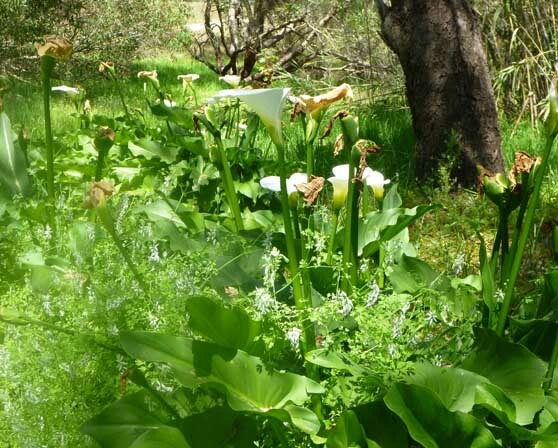 Arum Lily is a declared weed in Western Australia and plants must be eradicated if found.